Eugene J. Kennish, 78, of Westerleigh passed away peacefully on December 18, 2018, at home surrounded by his loving family. Born and raised in Brooklyn, he moved to Westerleigh and resided there with his wife of 57 years, Rosemarie (nee Misiano) for the last 18 years. Eugene graduated from St. Leonard’s H.S. before becoming a Police officer for N.Y.P.D. where he earned his detective shield and retired after 17 years. Eugene loved vacationing with his family and adored spending time with all of his children and grandchildren. 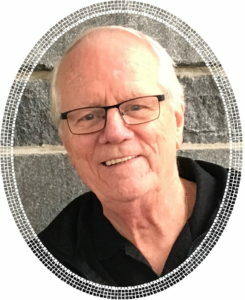 In addition to his beloved wife Rosemarie, Eugene leaves to cherish his memory, his children, Steven (Julann), Gene (Barbara), Mark and Danielle, His adoring 11 Grandchildren and 2 Great Grandchildren. He will be missed dearly by his sister Margaret Scherr, Sister-in-law Rachel Rosa, and his niece Maria (Joey). In lieu of flowers, the family encourages donations in Eugene’s Memory to St. Jude Children’s Research Hospital. Funeral from Cherubini McInerney Funeral Home, 1289 Forest Avenue, Staten Island, NY. Saturday, December 22, 2018 at 10:00a.m. Mass of Christian Burial will be celebrated at Holy Family R.C. Church at 11a.m. Private Cremation will follow. Family and friends may visit on Friday, December 21, 2018 from 2-4pm and 7-9pm. Gene may be gone from our sight, but never from our hearts. We share in your sorrow and mourn the loss of a really good man. Sent with love, remembrance and sincere condolences.